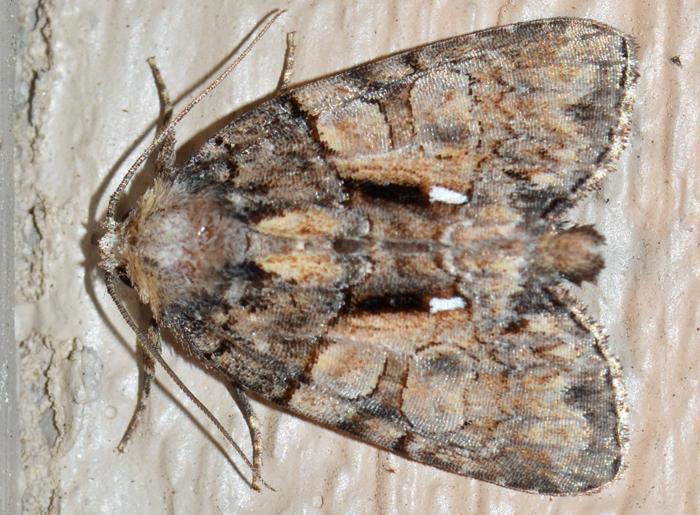 Chytonix palliatricula - Hodges#9556 (Cloaked Marvel). On one of the last cooler evenings of spring, I noticed this pretty moth near our porch lights. Its wing span is a good inch. The species Chytonix palliatricula has two varieties, one with a large white patch covering most of the forewing, and the other without it. This specimen belongs to the more common latter form. The larvae of the Cloaked Marvel feed on specific mushrooms.